Here’s a quick guide on how to download iOS 12.2 beta to iOS 12.1.3 or iOS 12.1.2 running on the iPhone or iPad. Did you update to iOS 12.2 beta and wish to go back to iOS 12.1.3 or iOS 12.1.2? You can do that right now as long as Apple is signing the latter firmware. Also, since there is a chance that we might see an iOS 12.1.2 jailbreak, therefore it’s important that you make up your mind fast regarding what you need on your iPhone or iPad. Complete freedom or a walled-garden? Let’s jump right into the downgrade process! 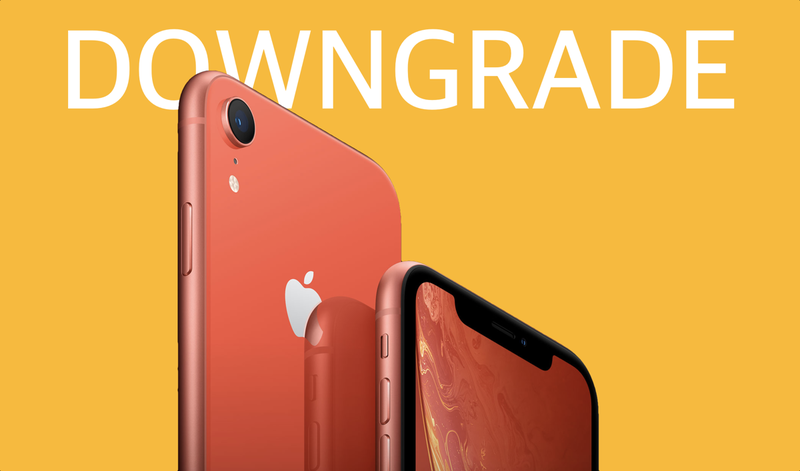 Note: Please note that the downgrade iOS 12.2 beta process will wipe your device clean, meaning that you will lose all your files and settings. You don’t want that to happen, therefore take a complete backup of everything to iTunes or iCloud before proceeding forward. First and foremost, make sure you download the iOS 12.1.3 or iOS 12.1.2 firmware file for your iPhone or iPad. Please download the correct file otherwise iTunes will fail to restore it and you’ll be forced to start over again. With that out of the way, you are now going to connect your device to your PC or Mac using a Lightning cable then launch iTunes. Now click on the tiny little iPhone-like icon on the top left hand corner of iTunes then click on ‘Restore iPhone’ while holding down the left Option key (Mac) or the left Shift key (Windows). Simply select the IPSW file to which you want to downgrade to and let iTunes do its thing. The process can take up to 15 minutes after which your device will boot straight into the Hello screen. Simply set up your device as new or restore from a backup. That’s all there is to it. On a side note: it is expected that iOS 12.1.2 will get a public jailbreak therefore it’s a good idea to downgrade straight to that firmware instead of iOS 12.1.3. If you are all about the tweak and theme life then you have a solid decision to make at this point in time.